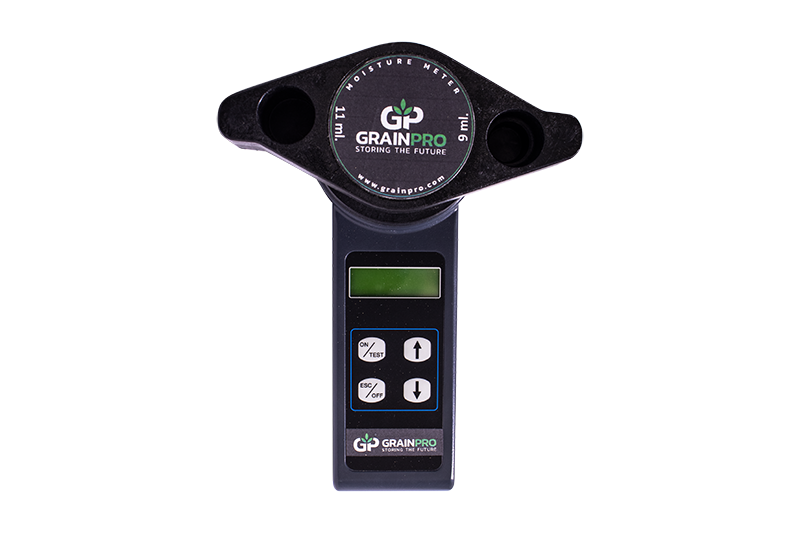 Grainpro introduces the Grain Moisture Meter to guide users into determining whether the crop is already at the right moisture content for storage and processing. 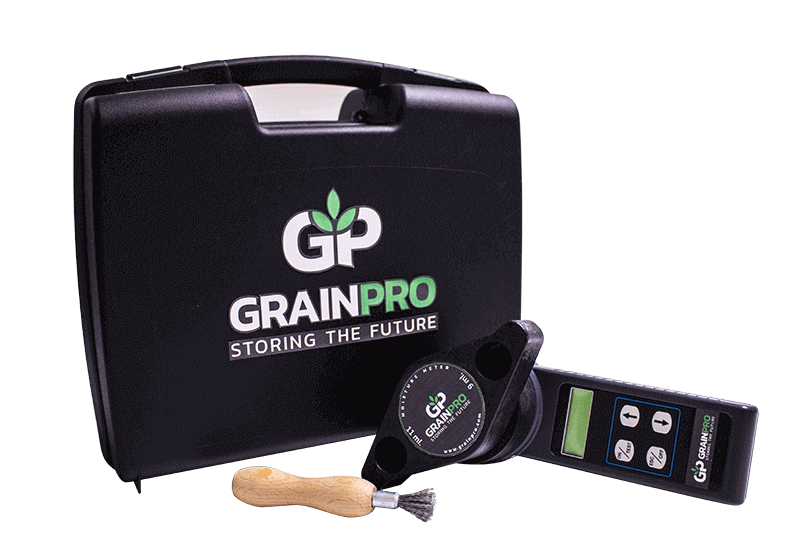 This handheld device provides accurate moisture content readings for different grains in just seconds, aided with individual calibration for various grain types such as wheat, sunflower, broken rice, white rice, brown rice, buckwheat, cocoa, mung bean, corn, corn grit, peas, paddy rice long & short, peanuts, coffee (Robusta & Arabica), soybean, sesame and sorghum. 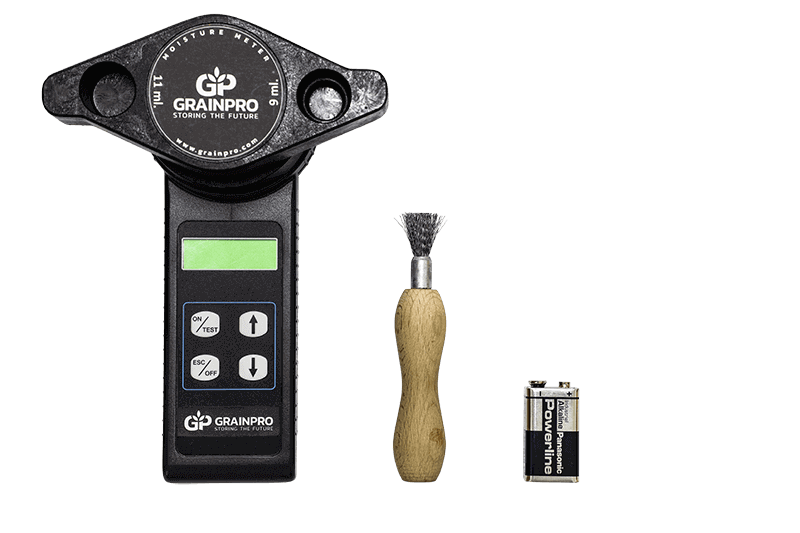 This resistant-type Moisture Meter has a built-in grinder and compressor for a more accurate reading, since it measures the internal moisture content of the commodity. 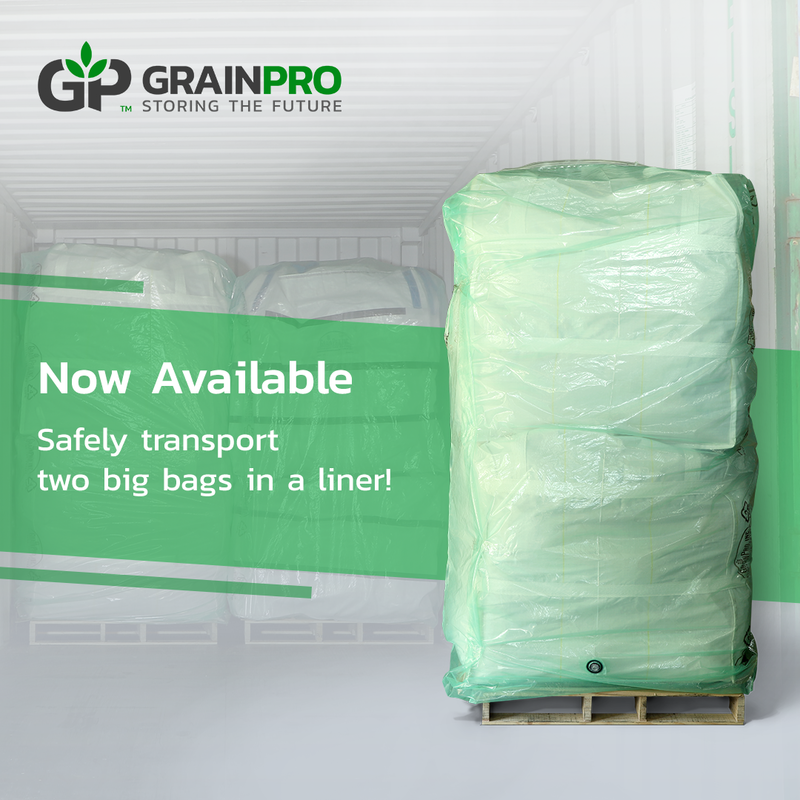 The grinder is made up of hardened galvanized steel while the casing is composed of shock-proof ABS plastic, making it a sturdy item that is suitable for outdoor use. 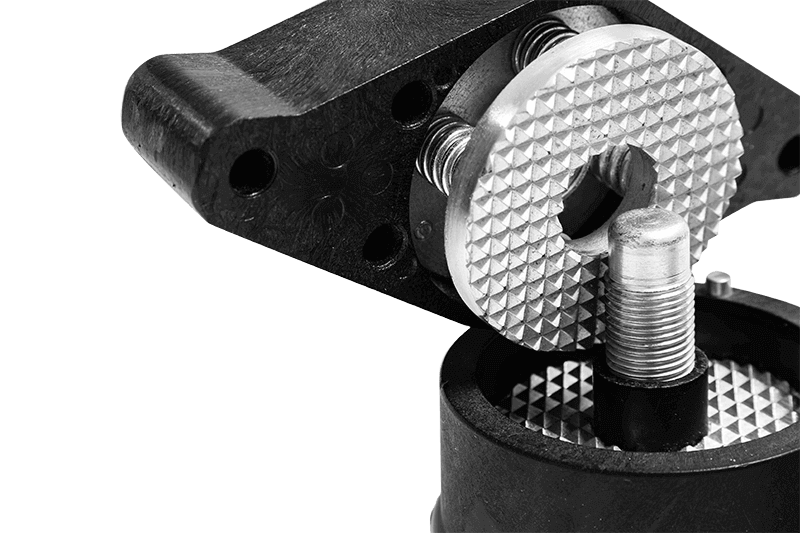 The Moisture Meter also has an automatic temperature compensation feature that adds to the accuracy of its moisture content readings of any agricultural products. 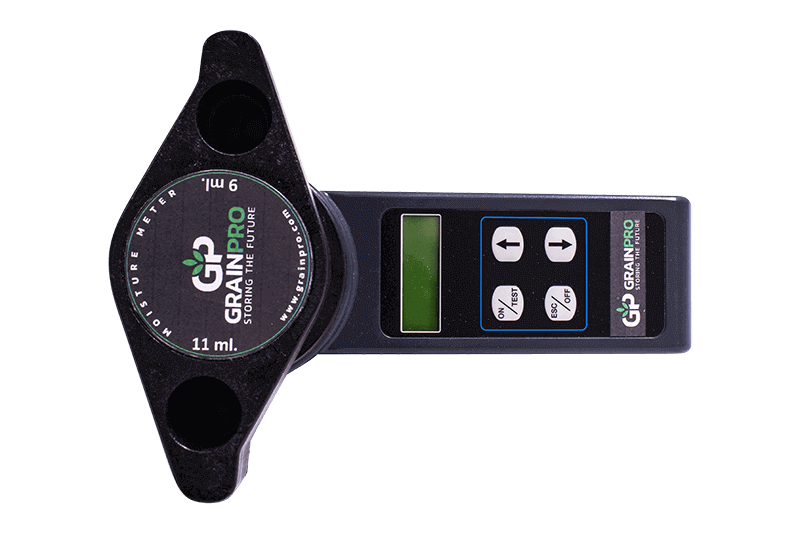 The GrainPro Moisture Meter will be available by the second half of November, 2018. Gross Weight Approx. 1.5 Kg.